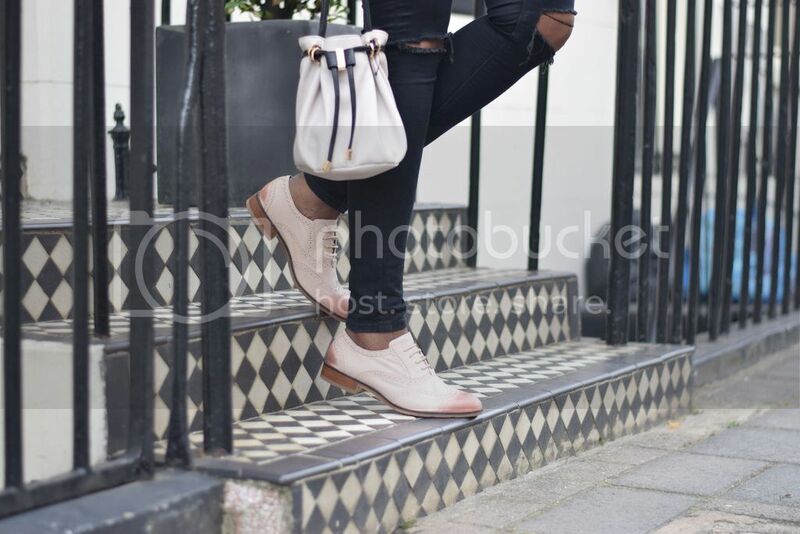 Today I'm collaborating with international footwear brand Hush Puppies to show you how to style these dip dye pink brogues for the weekend. 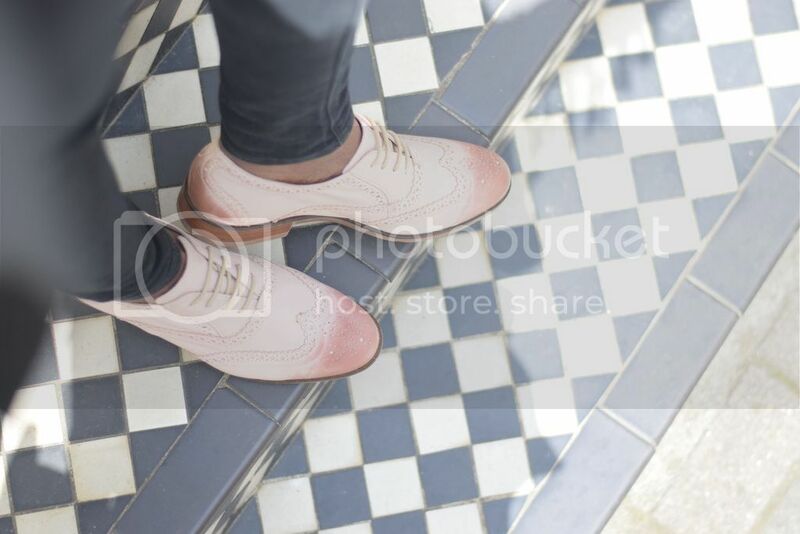 These supple soft leather brogues are from the capsule Summer 'How to wear' collection and I was amazed at just how comfortable they were. They come in a range of colours with extra padding on the soles and and a thin upper layer making them super flexible when on the move. Plus Hush Puppies cater for sizes 3 -10 UK which means we can all have a pair! 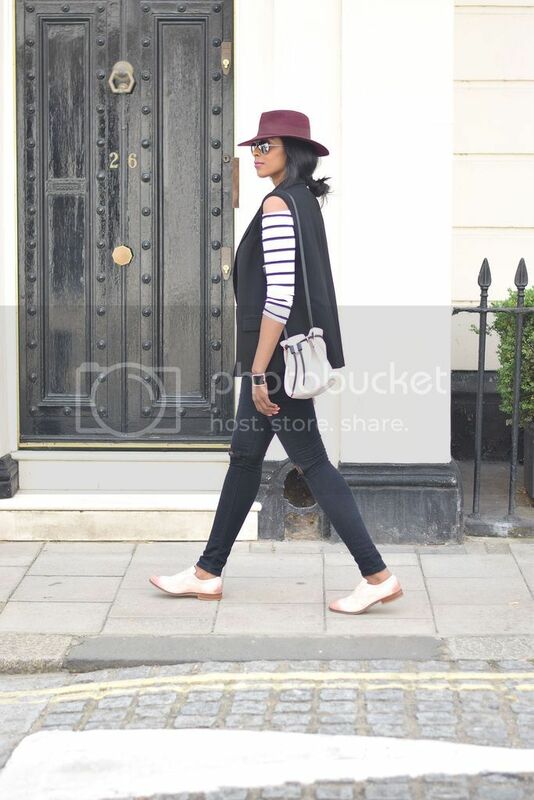 I wanted to keep my look feminine and laid back for a Saturday out shopping in Chelsea so opted for a monochrome tone, styling my new flats with my fave ripped skinny jeans and an off shoulder breton top. Wearing a tailored sleeveless blazer over an off the shoulder top creates a sophisticated 'peek a boo' element and the mini bucket bag and fedora kept my look edgy yet polished. Love everything about your outfit. Thanks for sharing!! LOVE this look!! The combo of the sleeveless blazer and the off the shoulder tee is so perfect! You look gorgeous! Ah those shoes are just too perfect! Oh and super comfy too Sophie!